Welcome to Grapevine. We have been established in Dalkey since 1999 and are delighted to offer our range of wines by the glass or bottle. Many of our wines are directly imported from small, quality minded producers and they enable us to offer interesting and high quality wines at fair prices. If you have any questions, our highly qualified staff will be delighted to guide you to the perfect bottle. 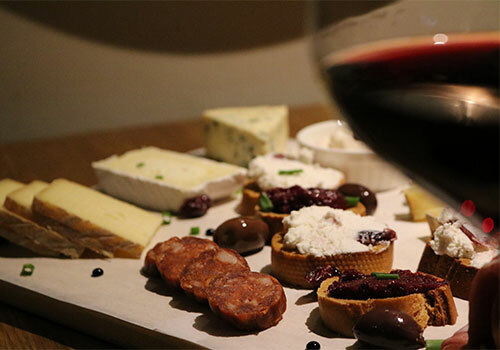 Our food menu is designed to match perfectly with wine so we have put together a selection of dishes based around well-chosen cheeses, cured meats and other delicacies chosen from artisan producers that we know well.